Looking to the future of technology for over thirty years, Belkin is the number one third-party maker of wireless charging accessories. * The goal at Belkin is to create a future free of cluttered cables and a world where wireless charging is accessible from anywhere. All Belkin products are designed on-site in California and produced with quality control checks throughout the manufacturing process. 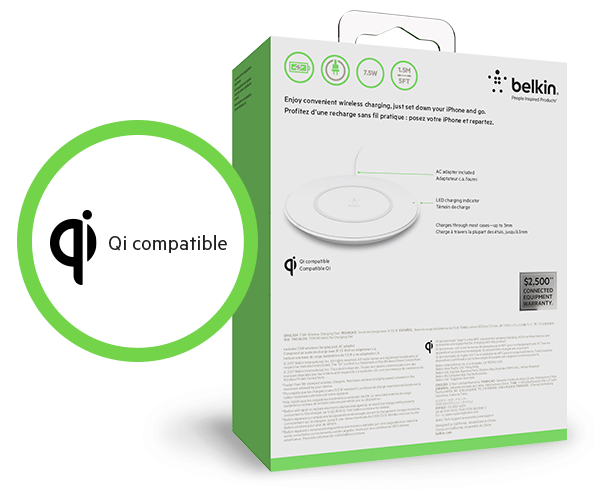 Belkin has its own internal manufacturing facility that has passed the ISO (International Organization for Standardization) 9001 quality management requirements. For anything produced outside this facility, Belkin’s quality control specialists are on-site every step of the way. 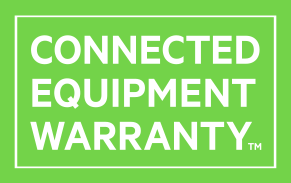 Rigorous testing and quality control throughout the manufacturing process keeps Belkin ahead of the pack while a Connected Equipment Warranty offers total peace of mind. To ensure maximum functionality and safe operation, Belkin chargers include an LED light that alerts you to any foreign objects on or near the wireless charger that could affect charging. These LED lights also provide confirmation that your charger and phone are correctly aligned and that charging has begun. This feature is standard in the latest Belkin wireless chargers. 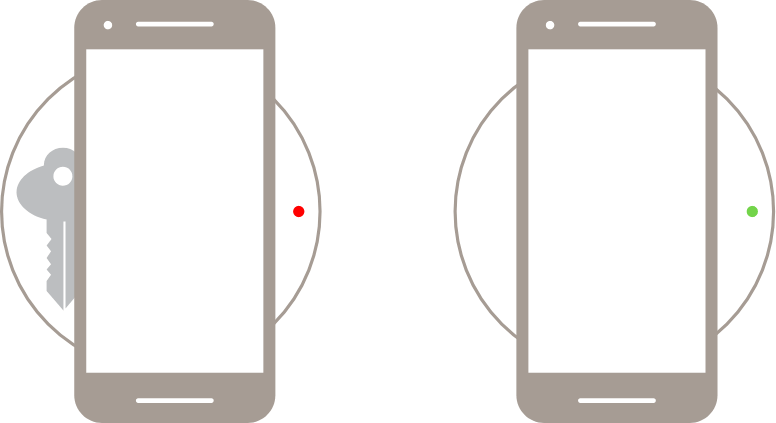 When it comes to wireless charging, certification could mean the difference between a quick power up and finding your device is only half charged after spending all night on the charging pad. Belkin meticulously maps out the efficiency and power of each charger to ensure maximum surface area for charging while allowing smartphones and other devices to power up through lightweight plastic cases, up to .3mm without sacrificing safety. As a full-member of the Wireless Power Consortium (WPC), Belkin works closely with the WPC to provide Qi-compatible chargers that are totally safe and exceptionally reliable. 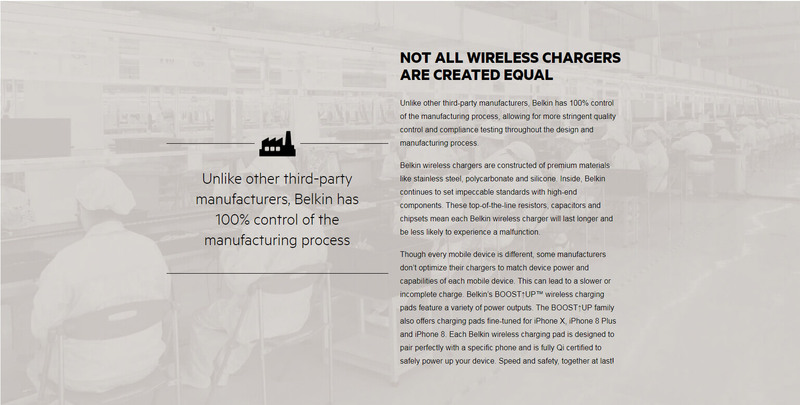 In addition, Belkin works closely with device manufacturers like Apple to ensure that wireless chargers meet all required and preferred standards, ensuring your safety and power needs are met. 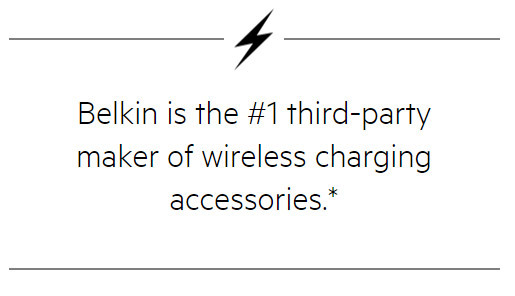 In addition to a robust warranty on each wireless charger, Belkin goes above and beyond to offer a Connected Equipment Warranty. This means that if a consumer is using the wireless charger correctly and their device is damaged by a power surge, Belkin will replace or repair the device. Learn more about your Belkin product’s warranty. 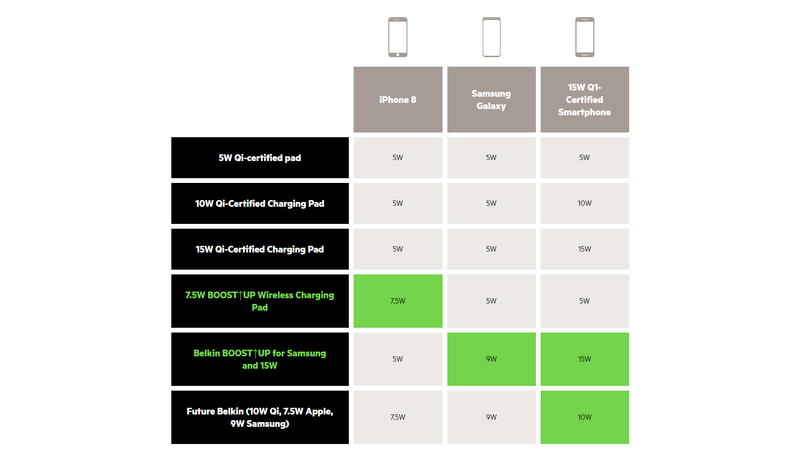 Belkin wireless charging pads are fine-tuned to ensure your iPhone or Samsung device charges optimally. 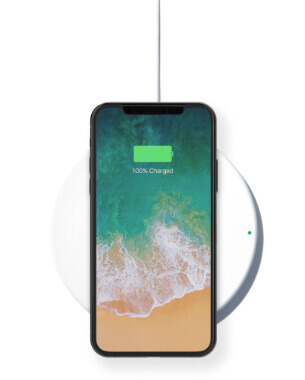 For example, the Belkin BOOST↑UP 7.5W Wireless Charging Pad has been specially designed for the iPhone X, iPhone 8 Plus and iPhone 8 to minimize the amount of electromagnetic interference that other chargers aren’t engineered to handle. The significant amount of shielding, precision resistors, premium materials and components inside of the charging pad provide maximum charging efficiency. The Belkin BOOST↑UP Wireless Charger is optimized to deliver up to 7.5W fast charging speeds while maintaining full device functionality including use of WiFi, GPS, Bluetooth, LTE and other forms of data consumption. Belkin is proud to work with industry-leaders to improve the wireless charging experience.